Sorry! 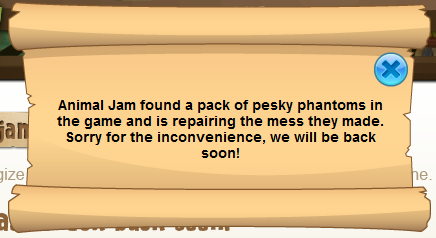 Animal Jam is on Maintenance! Here, while your waiting I'll give a nice pic of what jamaa may have looked like in the beta years. The part that looks patched up was blank so i edited it. Also animal jam gave me this message when I reload the maintenance page.